The only cold-pressed juicery in Santa Rosa, CA. Our cold pressed juices are never heated and no hpp (high pressure pasteurization) and we also use glass bottles for the very best taste. 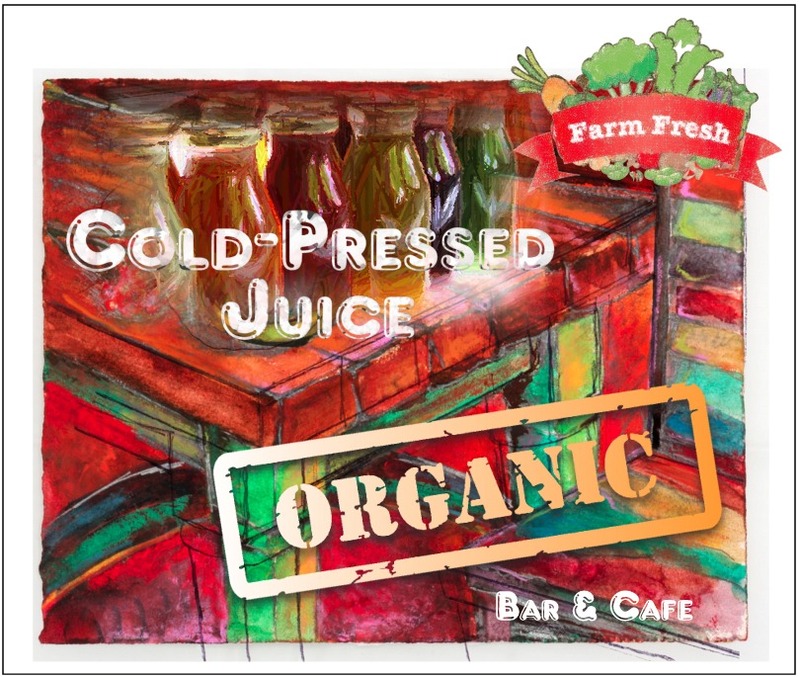 Choose from a variety of our cold pressed juice freshly pressed daily, made from organic fruit and raw vegetables. Enjoy soup, salad, acai bowl, oatmeal, fresh ground organic coffee, herbal tea and free wifi at our Juice Bar and Cafe Shop on the Square. We also make our own Kombucha and Jun. Our three day detox cleansing packages are made to order per your request. Our wellness educator will help you select the best cleansing package, and elixirs for your Sonoma County lifestyle. Pre-order for local pick-up and we’ll have your cold-pressed juice ready for you when you arrive at the cafe. We prefer a 48 hour notice for custom juice cleanse orders. Free delivery anywhere in Sonoma County. Tasting flights of our cold pressed juice and wellness elixirs are offered on occasion so you can try before you buy a bottle, shot or one of our cleansing packages, so come on in and have a seat at the bar. It’s fun, educating and healthy. Bring your laptop, we are also a hot spot shop for free internet. Dog friendly patio. Locally promoting a healthier lifestyle for Sonoma County residents.